I am honored to have been selected as a Trustee of the AHA. The work of the organization is vital to the current and future healthcare landscape. The American Hospital Association (AHA) has elected Claire Zangerle, Chief Nurse Executive at Allegheny Health Network (AHN), a Highmark Health company, to its Board of Trustees for a three-year term beginning January 1, 2018. The AHA is a not-for-profit association of health care provider organizations and individuals that are committed to the improvement of health in their communities. Founded in 1898, the AHA is the national advocate for its members, which include nearly 5,000 hospitals, health care systems, networks and other providers of care and 43,000 individual members. The Board of Trustees is the highest policymaking body of the AHA and has ultimate authority for the governance and management of its direction and finances. Zangerle is one of eight incoming members. 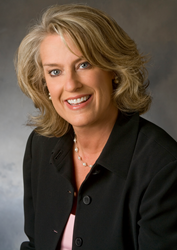 “Given Claire’s history of success as a healthcare and nursing leader with proven ability to initiate change for the benefit of patients, it is no surprise that she has been chosen to join the AHA’s Board of Trustees. We look forward to the invaluable contributions Claire will make to the AHA and its membership,” said Cynthia Hundorfean, AHN President and CEO. Zangerle joined AHN in September 2016 as AHN’s first Chief Nurse Executive. In this role, she leads the Executive Nursing Team including the chief nursing officers at each of the Network’s affiliated hospitals. She ultimately oversees the nursing practice of the organization’s more than 3,000 nurses to ensure patients and their families receive high quality care and an excellent patient experience. Prior to AHN, Zangerle served for almost a decade as president and CEO of the Visiting Nurse Association (VNA) of Ohio. At the VNA, she led Ohio’s largest independent nonprofit home health and hospice provider. Previous to her position at the VNA, Zangerle served in a variety of prominent roles at the Cleveland Clinic, including Chief Nursing Officer, Director of Quality and Accreditation and Director of Preventive Cardiology. As CNO at the Cleveland Clinic, she had clinical and administrative oversight for the organization’s 2,200 nurses and 800 support staff. Zangerle earned a bachelor’s degree in Exercise Physiology from Texas A&M University, an associate degree in Nursing from Houston Baptist University, an MBA from Lake Erie College and a Master of Science in Nursing from Kent State University and will complete her Doctor of Nursing Practice from Texas Christian University in December 2017. Allegheny Health Network (AHN.org), a Highmark Health company, is an integrated healthcare delivery system serving the greater Western Pennsylvania region. The Network is composed of eight hospitals, including Allegheny General Hospital, its flagship academic medical center in Pittsburgh, Allegheny Valley Hospital in Natrona Heights, Canonsburg Hospital in Canonsburg, Forbes Hospital in Monroeville, Jefferson Hospital in Jefferson Hills, Saint Vincent Hospital in Erie, West Penn Hospital in Pittsburgh and Westfield Memorial Hospital in Westfield, NY. The Network provides patients with access to a complete spectrum of advanced medical services, including nationally recognized programs for primary and emergency care, cardiovascular disease, cancer care, orthopaedic surgery, neurology and neurosurgery, women’s health, diabetes and more. It also is home to a comprehensive research institute; Health + Wellness Pavilions; an employed physician organization, home and community based health services and a group purchasing organization. The Network employs approximately 17,000 people, has more than 2,800 physicians on its medical staff and serves as a clinical campus for Drexel University College of Medicine, Temple University School of Medicine, and the Lake Erie College of Osteopathic Medicine.